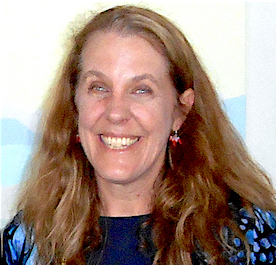 One of the joys for me in life is being able to move from one mode of being to a very different one, such as moving from being a computer programmer to an intuitive life coach, or from genealogist to radio show host, or from conference leader to guitar player, or from martial arts instructor to quilt-maker. There are many more diverse aspects of me, which seldom are simultaneously evident, yet which all coexist inside me. One can have a lot of fun playing with new aspects of self that are still coming into being, or gliding gracefully from one well-developed persona and mode to being to another. Children often demonstrate the ease by which someone can quickly move from one way of being and viewing the world to another, and many types of ‘make believe’ play is based on exactly these kinds of rapid changes. When I was a little girl, I loved being able to go from athletic tree-climber one minute to playing head banker for the children on our street the next. This degree of freedom by which children can experience such a vast array of different possible realities is exceptionally good training for recognizing how we can make leaps from one way of living to another. Next time you find yourself wishing you could get a break from whatever tedium or routines you are feeling stuck inside, ask yourself who you’d most like to be right now, if you could be anyone at all? Contemplating this question fully for a few minutes can feel like taking a weekend getaway, and acting as if you are living that life you’d love to live can be marvelously refreshing, wildly invigorating, and exceptionally uplifting! 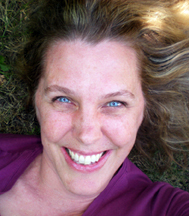 "If there is one thing I can be grateful for it is that I trusted my intuition and made contact with you--and from that the gift of connecting to myself (and other people) again!" A RealityShifters survey conducted in 2005 found characteristics most common to seven types of realityshifters. 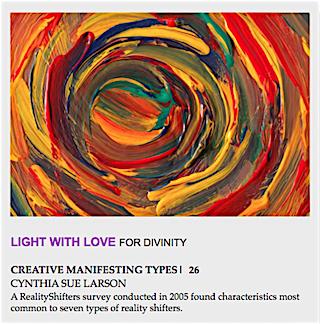 This article featured in the July 2017 issue of the “You As Creator” issue of 11:11 Magazine provides you with insights as to how you can best utilize many different qualities of reality shifting in your life. Have you been on a spiritual journey and know yourself to be more than just your body, mind, and emotions, yet still struggle to fully love yourself and the life you are living? Have you experienced childhood challenges that continue to play out as limiting patterns in your daily life? Do you long for success in your relationships and career but keep finding it eludes you? Join us on our free Journey Back to Love Symposium, and get ready to transform your beliefs about love, success and freedom and put your perceived limitations, fears and failures regarding love behind you. Hosts Sandie Sedgbeer and Suzy Miller interview eight guests, including Glenn Harrold, Lee Harris, Carista Luminare, Simran Singh, Lion Goodman, Penny Kelly, Jim Self, and me—Cynthia Sue Larson. 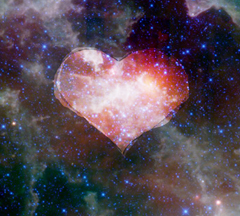 My segment is about Making a Quantum Jump Out of Fear Into Love. We talk about how we’ve overcome some of our personal challenges, sharing insights about how we’ve each learned how to live a life of love. Be sure to register for this free symposium in order to take full advantage of all the perks—this is one event with the inspiration, ideas, heart, and soul to completely transform your life! Driving to work early one morning, something happened that caused my car to spin 180 degrees around in the highway. I was still in my lane, but facing the opposite direction. The vehicle I had noted in my rearview mirror had vanished. In its place was a car driven by a guy I used to ride to work with. The vehicle following me was probably a car. I refer to it as a "vehicle" because it has been too long to say for sure. We were stopped in the road looking at each other. When I got to work, I asked him “What happened to the vehicle following me?” He said he didn’t know what happened to it. We were both probably too dumbfounded to say anything else about it, and we never mentioned it again. Even with an eye witness to the vanishing vehicle, it is still hard to believe. Driving conditions: Clear, road dry. Lane: Right hand lane of a two-lane asphalt road. Vanishing vehicle relationship: It was so close that I was prepared for the inevitable impact. This happened over 20 years ago, so I don’t recall details of exactly what caused the incident. I surmise that the car in front of me hit the brakes, and I also hit the brakes to avoid a collision. That is when my car spun around and came to stop. I was traveling south, but was now facing north. I was surprised that I was not hit by the vehicle following me, and surprised that it had vanished, and I was surprised to be looking into the windshield of the guy that I used to ride to work with. This was the most mystifying event to ever happen to me, and the only vanishing vehicle that I have encountered. I am 100% positive that my car spun around in the highway and the vehicle behind me disappeared. I also find it more than ironic that the guy I used to ride to work with was now in the spot of the vanishing vehicle. I do not dwell on it, because I know that I will never figure it out, and I don't want to crack my mind trying to solve the unsolvable. I have been a subscriber since Jan. 26, 2001. That was the first time that I had heard the term "reality shifting." I knew it was something that I would be interested in. I assumed Reality Shifters was a run-of-the-mill site authored by someone with no real grasp of the implications. Over the years, I have learned that you have sound credentials and are always on the cutting edge of everything. I suspect that you downplay your capabilities; you are certainly not boastful. Each time someone introduces a new twist on the nature of reality, I find that you have been there all along. Keep up the outstanding work. Note from Cynthia: Thanks so much for sharing your experience with me about witnessing a vehicle vanish on the highway--and your coworker also noticing the vehicle vanished, too! Thank you for providing as many details as you can recall, which dramatically enhance the emotive impact of my reading your first-hand report of your experience. What a shock and surprise it must have been to have been driving when your car made such an unexpected 180 degree turn--perhaps due to your braking--and all the more remarkable considering you were not struck by the vehicle that had been following you. This really is an extraordinary experience, yet taken together with similar experiences that so many people have had, it takes on added significance. Clearly, there are times when vehicles seem to teleport or vanish at the exact moment when such a teleportation or vanishing act can make all the difference in saving someone's life from what surely otherwise would have been a terrible car crash. And thank you so much for your kind words of support and appreciation for me and the work that I do! You've really brightened my day with your thoughtfulness! I was at home sick from work one day, when I had a dream along a stream, where a small Italian-looking monk was giving me the most loving and caring lecture. In essence, he said I needed to be more tolerant of others—in particular my Catholic friends—who I had recently unintentionally insulted with a joke that was in extremely poor taste. He said I shouldn't speak of things I had no clue about; essentially I didn't know what I was talking about! He understood how rough Catholic school had been for me as a boy, but pointed out that no one had ever physically harmed me. I felt loved, despite the stern lecture he was giving me. I awoke from that dream with a call from my work wife/friend asking "Are you all right?" This person could normally care less about me, and had never called me like this before in the previous five years that we'd known each other. So I told her I'm at "home sick in my bed.” She then said, "Rachel just saw you faxing at the fax machine; when I told her you weren’t here today she contradicted me, and said that she had just seen you." I thought that was curious that my coworker had seen me at the fax machine faxing documents while I was at home in bed, and so I went online. I found a Wikipedia article about bilocation with information on people who were reported to bi-locate—to be in two places at once. Many interesting people were on that list, and one of them was Padre Pio. When I opened his Wikipedia page, my jaw dropped. I was looking at the exact person who I'd just woken up from! He caused me to bi-locate to tell me who he was. Admittedly I had heard of him before the visitation, but I hadn't heard or thought of him in 20 years. This of course sent me on a Padre Pio binge, reading all I could find about this amazing Catholic saint. My favorite quote of his is, "I will take my place at the gate to paradise, but I shall not enter until I have seen the last of my spiritual children enter.” Essentially a Christian bodhisattva vow. I had two friends that I went on break with, and I told them about this occurrence. My friend Kevin looked at my other friend Tom in shock; he had known about Padre Pio for decades, and in fact had a statuette of him next to his TV at home. I'm known to be a teller of some pretty wild stories, but that one blew his socks off. Note from Cynthia: What a great dream by the stream with the loving words from the Italian looking monk, while your friend Rachel saw you bilocating and running faxes at work the day you were at sick home in bed! 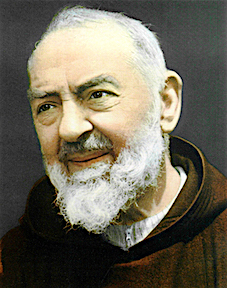 Yes, that does remind me of Padre Pio, and how astonishing to see the resemblance when you checked! And how marvelous to know of his Christian Bodhisattva perspective--I love it! I took the quiz yesterday, and my result of the quiz I did was that i am from an alternate reality. What surprised me the most was that I remember Kit-Kat while its supposed to be KitKat. I was puzzled, because I remember it from my childhood and even from six years ago when I ate Kit-Kat. How weird is it that TODAY, something even more weird happened. Like its a sign from the universe or something.I drove to a Chinese restaurant for dinner on my bike. I needed to ride on my bike on a long road that takes like 10 minutes. I ride that road on my bike once a week, since McDonalds is also near that Chinese restaurant. Sometimes I look up, sometimes I look in front of me, but most of the time I look down, because it’s a long trip and I get annoyed and bored, so i watch the stripes on the road for bikes, or wonder why people throw so much garbage on the road (after visiting McDonalds, for example). I never saw a Kit-Kat package before though. It’s like something made me look downstairs today at that moment, and i saw an empty Kit-Kat package on the road. Guess what was written on it? KIT-KAT and not KITKAT. OMG! I was like laughing and thought, “See? I was right!" Then I was like maybe that Mandela Effect quiz I’d seen mentioning the Kit-Kat example was fake or something, or maybe in The Netherlands it’s written differently. I just checked it at the supermarket web shop, by typing in Kitkat, and yes on the package it says KITKAT and not Kit-Kat. I also remember clearly 100% that the Volkswagen logo didn't have a split in it! Today on the road on my way to the Chinese restaurant, I paid attention to see if i would see some Volkswagens, since we got them a lot in The Netherlands, and yes there was a split in it! How funny, though scary in some way. I’m getting like chills right now! This must be significant. Sally Fields is now Sally Field. Her notorious Oscar acceptance speech, "you like me, you really like me!" Is now, " I can't deny the fact that you like me, right now, you like me.” The original has "Really" implying a truth. The new versions differences being, "I can't deny the fact" and "right now" which contradicts the so called fact by implying that it may not be so later, just right now. It's a statement about the Mandela Effect! The truth being what I believe to be a fact now. May not be so later, just right now. So the only double Mandela effect so far succinctly describes the Mandela effect, and what it is! My mind is totally blown again. So much fun, and It's perfect! Note from Cynthia: What a find this one is! 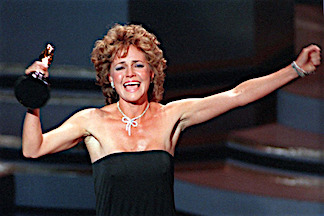 I had heard of people noticing some startling change to Sally Field's Oscar acceptance speech, but I'd not previously seen anyone point out the significance of the change in the words with the word "really" missing. How marvelous to find such a self-reflective reality shift / Mandela Effect with regard to a change from "really" to "right now," which pretty much gets to the heart of the experience of reality shifts, quantum jumps, and Mandela Effects. And that "ME" in her acceptance speech is a huge part of the self-reflective quality of this Mandela Effect (ME) example! I've experienced parallel world interaction. Some of the same effects you call reality shifts, and boy l can tell you plenty. I found that paying attention helps a lot. Also in Bloomfield, New Mexico on December 19, 2012 on the highway that runs through Bloomfield, there were orange barrels that line the road for some major project. The next morning on December 20, 2012 at 9am when I was going to work, all the barrels were gone, and everything looked brand new. Except that an old trading post with an old parking lot was gone, and in its place stood a Burger King white building with the Burger King logo slanted on the face of the building. Also, some of the streets were noticeably different. Exiting Bloomfield, there was an empty lot with a guard rail that ran up to the property and snaked over and beyond. Except there should be a house barn and house trees and a fence and a guard rail that stops 50 feet short of the property! I proceeded to drive slowly, and noticed that the hillsides looked the same. Copy? This parallel world is a copy. Some things run parallel, and some things don't. I traveled to the next town over in Farmington New Mexico, and by the end of the day when I returned to Bloomfield, everything was back to normal. The orange barrels, the trading post, the old parking lot, and the surrounding streets were back to normal. The empty lot was gone! The house, barn house, trees, fence, and guard rail that was 50 feet from the property was back. I noticed that night in the early morning around 3 am, there was lightning, and the wind was blowing. Atmospheric disturbance. Sounds like a window opened up into a parallel world, and there was a brief gravity exchange between worlds. Because both worlds exist in their own dimensional plane, and pivot on their axes independently of each other, so the gravity exchange held the window into both worlds for hours, and then closed. 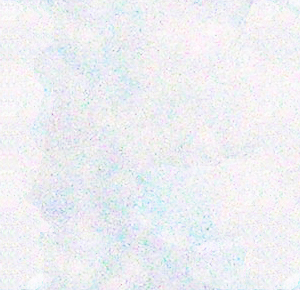 It seems that continuous lightning strikes sprites or elves, or solar flare activity shooting towards the earth hitting the earth’s upper ionosphere effects the earth’s electromagnetic field, causing a resonance field intense energy surge with the same set of circumstances happening at the same time opening a window into a parallel world. Another observation: parallel worlds are layered. When a parallel interaction occurs, it spiders out into both universes, affecting every single planetary body out there. I've experienced several parallel world interactions, or reality shifts. That's my story, and I'm sticking to it. Note from Cynthia: Thanks so much for sharing your experience noticing changes along the road you drove when going to work several years ago. Your experience seeing so many things being different, and then later returning to see things switched back to the way you'd seen them before is very similar to other reports from RealityShifters readers around the world. I appreciate your sharing your feeling that parallel worlds are layered, based on your experiences, where you notice that when a parallel interaction occurs, it reaches out into affected universes with global effects. Regarding the experience I had back with Noriega back in March; if I had gone through a shift at that time, could this be the only reason I may be remembering Manuel Noriega already being dead, as I recall it happened in 2000? I haven't been able to find anything other than an "age difference" article, but nothing yet confirming him as dying back in 2000. I am trying not to dwell on it, but it is hard not to think about. I know what you mean about not wanting to dwell on these things, but finding it hard not to think about them. Usually when we remember someone having died earlier than what is officially acknowledged in current historical records, we don't find differing official evidence. What might be findable would be recollections and remembrances from other people of alternate histories--things like: sketches, paintings, sculptures, blog posts, notes, comments made in interviews or in books or magazines, song lyrics, and anything else someone created. I'm interested in your book Aura Advantage. I'm starting the learning process of Auras and am wondering if this book would help me better understand auras. Would one of your other books be a better option for someone just starting to learn? Please let me know, thank you. Thanks so much for writing to me with this question! My main book for understanding auras is Aura Advantage--and it is the most complete book. I also wrote an ebook, Shine with the Aura of Success, which is a much shorter book that makes an excellent introduction to the subject. You can also get an autographed copy of Aura Advantage from me if you order through my website at the RealityShifters Shop. I've read things you have wrote and its a lot of what I have lived. I want to ask you a question. Ive been trying to learn as much I can to really change my life. Its been a while that my positivity has not been there. I got a few months that I was applying for jobs and nothing came. But between last night and today early in the morning I decided to really create a feeling on purpose... and then two people contacted me for jobs. Not really a thing that I expected but it happened. The weird thing is that neither of them, I actually never applied. So is it possible that I changed to another reality that I did applied to them? I changed to a whole different reality according to my feeling? Does it involve even actions that I didn't take in the past reality I was in, but I did take those actions in this different reality? I hope this makes sense. Hope to hear your opinion. Thanks so much for writing to me with this question, and yes it makes sense. Based on my research in this field and also my personal experience, I can assure you that indeed it's not only possible but it sounds likely that your consciousness has made a jump to a new reality where you applied to those jobs. I've also experienced such changes-in-what-happened-in-the-past based on changes in my current mental/emotional state, and so I know from first-hand experience just how startling it is to get a phone call from someone "confirming" a book event I didn't coordinate, for example. So yes, when you find yourself in a reality in which suddenly you're getting call-backs from applications you've not turned in, you are indeed experiencing the retroactive benefits of seeing 'improvements' made to your past based on a more positive, purposeful intention now. I’m so glad I came across your article. I was thinking I am losing my mind. I have had a few episodes (i call them), and I didn’t even know how to describe my experiences. I have told my husband and a long time friend that I have been experiencing situations while fully awake and moving around in my home or yard, and then within an hour or so, I am back to the way things were, if this makes sense. Yes, extreme stress can activate a quantum jump. And yes, I know what you mean about experiencing situations one way, and then seeing them back to the way they were before later on. This type of reality shift "flip-flop" happens quite a lot, and is in fact one of the most common first types of reality shifts that people tend to witness, such as when something appears and then disappears. 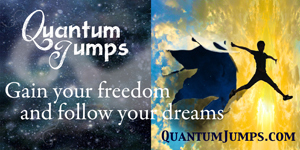 I am really interested in quantum jumping? I had experienced something the other day that I haven't really had since I was younger? I have never been able to know what it was, I just thought I had changed my perspective in which I guess I sort of did, but I found you link about quantum jumping and I would really like to know if I am experiencing just that or if it is something different. It's hard to explain and your link basically narrowed it down for me a bit. But when it came to the part about how you can achieve it by imagining you life as something else? I don't do that before it happens, I generally walk into a certain place, and it's as though everything has completely changed but in this reality is is just the same. It happened the other day again, and I tried to explain it to my friends and they thought I was crazy, they just couldn't see where I was coming from. Am I getting in touch with an alternative self? How am I able to control it more so I can gain more Information? And is it possible to get struck in quantum jumping? If so, what happens to me, do I go brain dead or do I disappear? I am so interested and have so many questions, I'm very sorry about that also. Can you please help me understand? Yes, I totally relate to your walking to a certain place and seeing things being completely different. 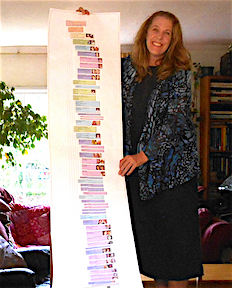 This is the kind of experience I've been researching and tracking and writing about for the past two decades, with first-hand reports documented at RealityShifters.com While there are many possible interpretations for what is going on when people experience such reality shifts, my perspective is that we are witnessing quantum changes on a macroscopic scale. This means we can sometimes witness what we may consider to be a parallel possible universe. For best results with reality shifting, I recommend staying focused on truly and whole-heartedly desiring to experience and live the answer to the question, "How good can it get?" This helps keep our subconscious engaged in imagining more healthy, enjoyable, balanced, harmonious, peaceful experiences. For those whose subconscious minds are clear and balanced and free from fears, doubts, and other types of emotional imbalance, it is possible to focus in particular on a specific outcome, with expectation of good results. We are constantly quantum jumping, so I've not seen anyone get stuck anywhere, especially when they maintain a daily meditation or prayer practice, in order to not get 'stuck' in believing they are only their ego self.